If you are a long-term user of antacids or a proton pump inhibitor, to help neutralise heart burn or acid reflux, then you may be suffering from a B12 vitamin deficiency that can lead to multiple health problems including depression & possibly dementia. Due to certain dietary habits, medication, aging or other health complications the stomach’s production of hydrochloric acid can become erratic, eroding the lower oesophageal sphincter and leading to gastroesophageal reflux causing heart burn, wheezing, gagging and other forms of pain or discomfort. Most people take antacid medication to find immediate relief, but if the condition is serious and interferes with the quality of life, proton pump inhibitors are prescribed to suppress the acid levels, hindering the body’s ability to absorb vitamin B12. Vitamin B12 is found in animal protein and stored in the organs and tissues of the body such as the liver, kidneys and long muscles. When antacids and PPIs are used for longer than two years it can inhibit the gut bacterium that not only produces the stomach acid but also releases the B12 vitamin from the digesting food. Kaiser Permanente conducted a study on the affect of PPIs to see if they could find a connection to B12 deficiencies and the use of acid inhibitors. The researchers, led by Jameson R. Lam, compared data from electronic pharmacy, laboratory and diagnostic databases of just over 210,000 within the Northern California Kaiser patient population. 25,956 patients in the study group displayed symptoms of B12 deficiency while the remaining was clear of symptoms. 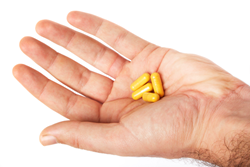 They found that among the patients who were newly diagnosed with a vitamin B12 deficiency, 12% were given a 2-year or more supply of PPIs, compared with 7.2% of patients who were exposed to PPIs in the control group. Similarly, 4.2% of the vitamin-deficient patients had a 2-year or more supply of H2RAs, versus 3.2% in the control group. The findings printed in the December issue of JAMA http://bit.ly/1bySPRs last year, established that long-term use of proton pump inhibitors such as Prilosec, Prevacid, and Nexium suppress the amount of gastric acid your stomach produces. Though they say cannot completely rule out confounding factors as they relate to their findings, they do note that using antacids "identifies a population at higher risk of B12 deficiency." The magnitude of the association was stronger in women and younger age groups, they add, noting that the association decreased after patients stopped using the antacids.